Once you’ve experienced a KMFDM live show, there is no turning back. The brand new live album by therenowned industrial rock pioneers from Germany shows exactly that. 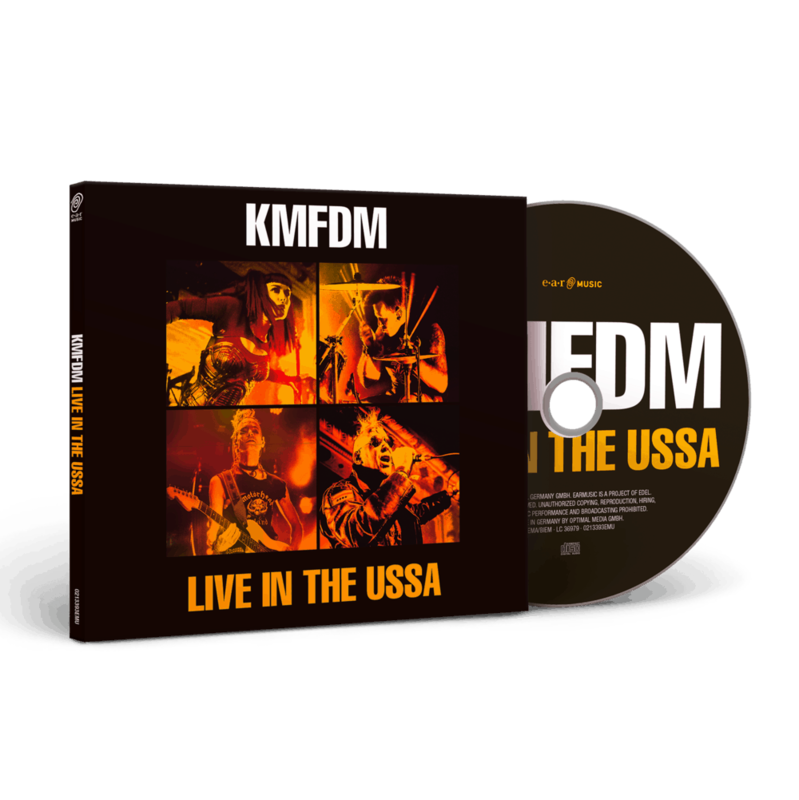 Recorded during the band’s roaring USA tour in late 2017, “Live in the USSA” perfectly captures the intoxicating atmosphere that was present throughout the whole journey. The album features a diverse and exciting selection of six of the band’s favorite songs from their latest studio album “HELL YEAH” and six of KMFDM’s classic ultra-heavy beat hits. Simply put: “Live In The USSA” commemorates and immortalizes a brilliant experience for fans and band alike. various sold out tours) - for over a quarter of a century they are the epitome and synonym for a musical style of the harder variety: Industrial Rock. KMFDM pioneered the crossover between techno/dance and heavy metal, creating their unique sound and were one of the first bands to bring Industrial Rock to mainstream. They influenced bands such as Rammstein with whom they were touring the US - with KMFDM headlining.